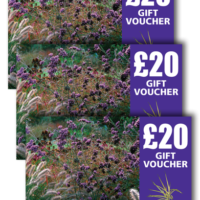 Knoll Gardens gift vouchers make the perfect practical gift and are redeemable against our plants, books, classes and even our consultancy service. A charge of £1 is made for sending the vouchers by post, complete with greeting card if required, to address of your choice. Please add recipients name and address together with any short message in the Order notes box at checkout. 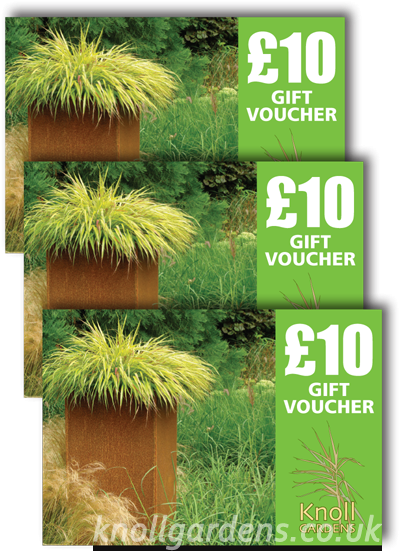 To redeem vouchers online please quote unique voucher code in special delivery notes box on checkout page and the value will be manually refunded upon receipt of your order.